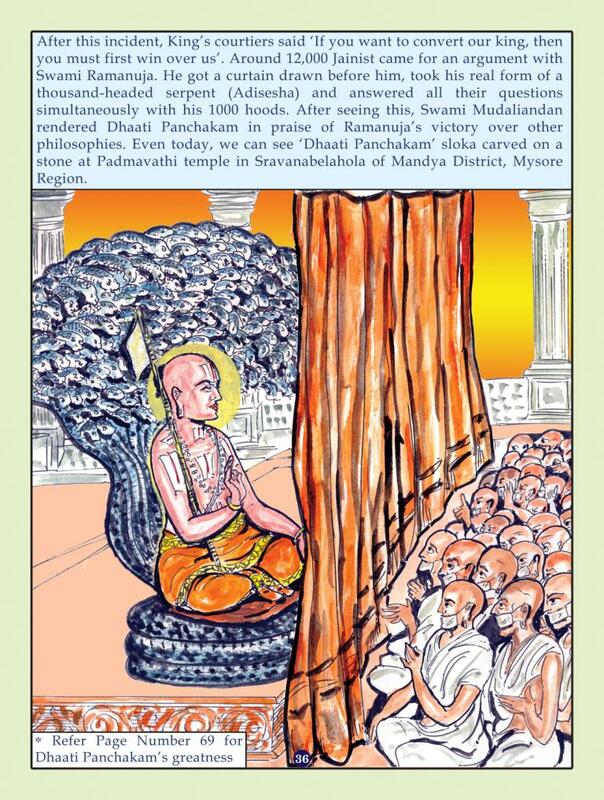 Dhaati Panchakam was rendered by Sri Mudaliandan at thondanur when Swami Ramanuja takes his adisesha form with 1000 hoods and won over 12,000 Jainists to prove that Vishistadvaitam is true and Sriman Narayana is the Supreme God (Paramathma). Sriman Narayana (Paramathma), Chit (Living things) & Achit (Non Living Things) exists. Dhaati Panchakam speaks of the victory of Ramanuja over other philosophies - both those that accept Vedas and those that don't - and his establishing the Visishtadvaita philosohpy that was built by Azhwars and Purvacharyas. As the name shows it is made of five shlokas. The word dhaati means "attacking" - as this work shows the attack that Ramanuja carried over the other philosophies that were widespread at that time, it is an appropriate name for it. It was rendered by Mudaliandan. This work has been celebrated by our poorvacharyas and has been included as part of Srivaishnava nithyanusandhanam. 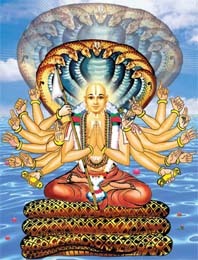 Meaning: At Baktha nagar (Thondanur), who had rendered Dhaati Panchakam sloka was none other than Swami Ramanuja's close disciple, Sri Daasarathi (Mudaliandan).